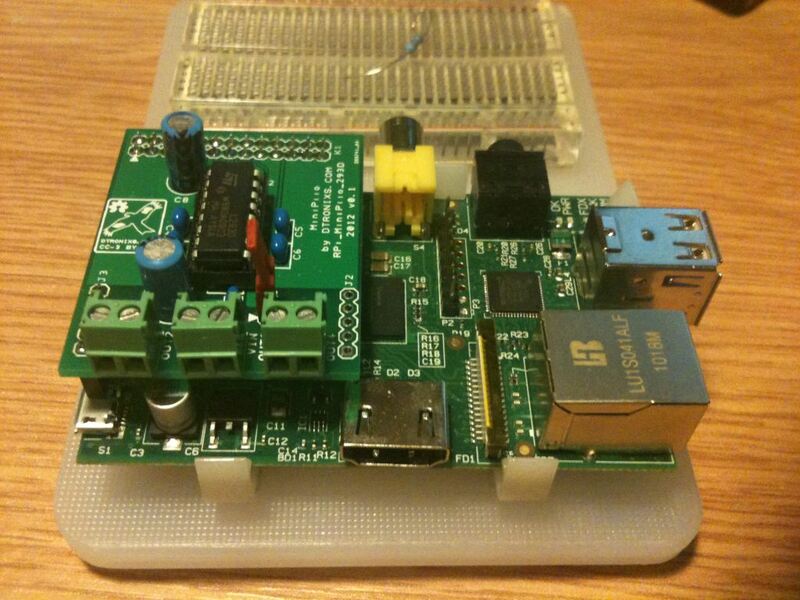 Here’s the second of the new Raspberry Pi MiniPiio add-on boards. 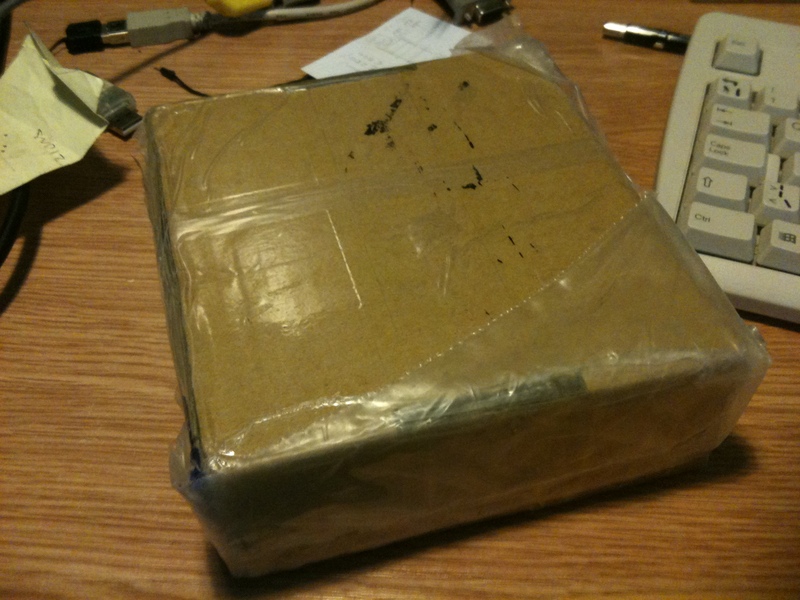 This is a DC Motor controller using the venerable L293D from ST (and others). The L293D is dual H-Bridge driver capable of driving 36V DC and 600mA per H-Bridge. 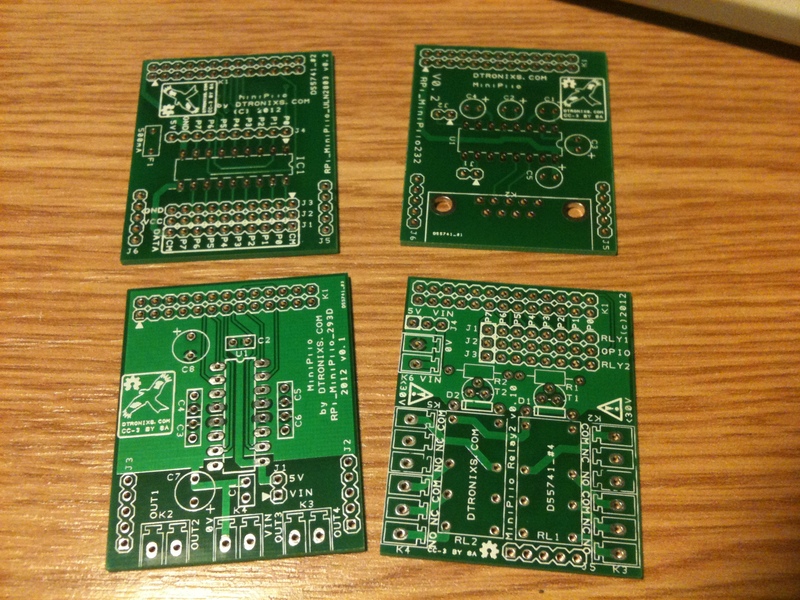 The board was designed in Design Spark PCB and the schematic is here. 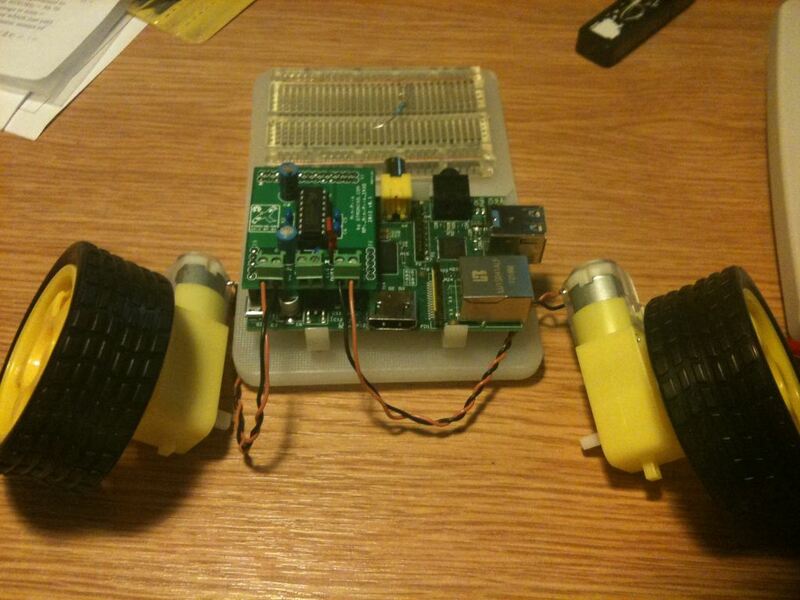 and here’s the L293D and RPi driving a pair of small DC motors. Hope fully this will be a small robot in time for e-day the Newcastle Maker Space is talking part of at Gateshead Central Library on 29th September. I meant to post this a few weeks back but holidays etc. got in the way, so here it is now. 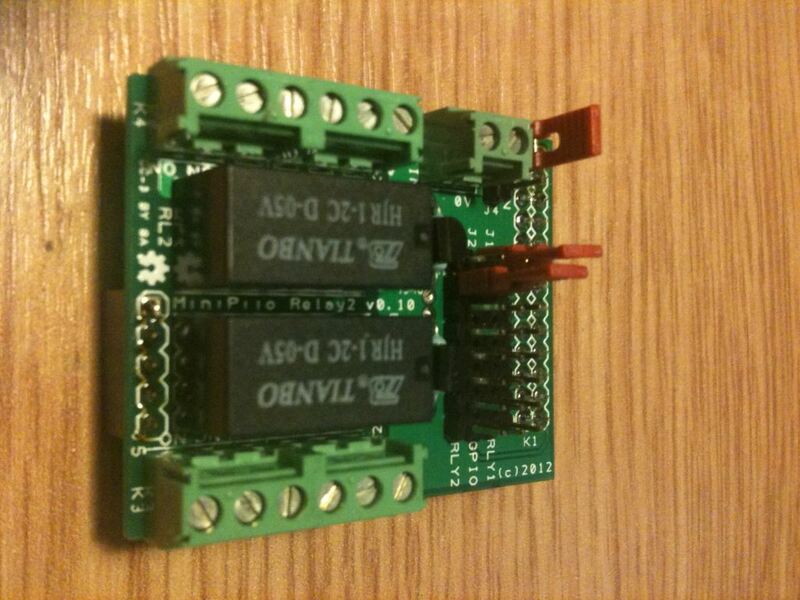 So here we have a simple two relay DPCO board. 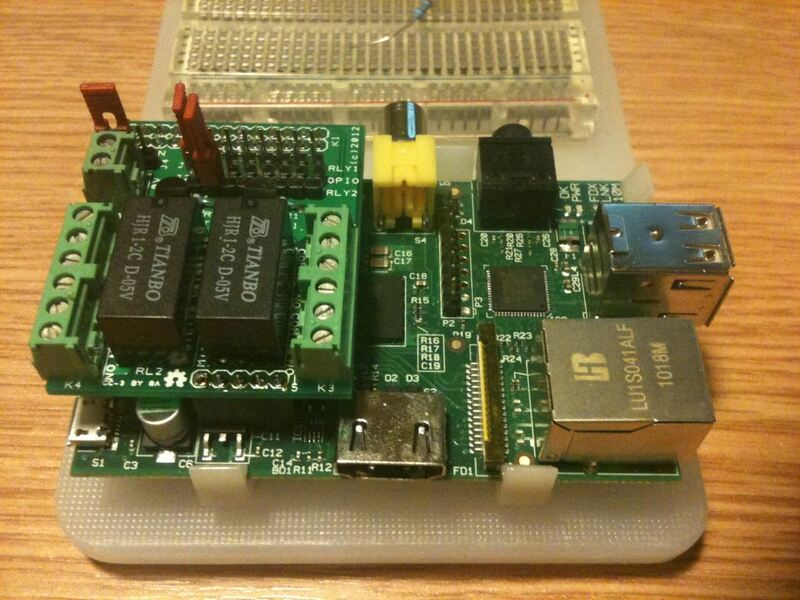 Either of the relays can be selected from 8 off the GPIO pins from the Raspberry Pi expansion header. 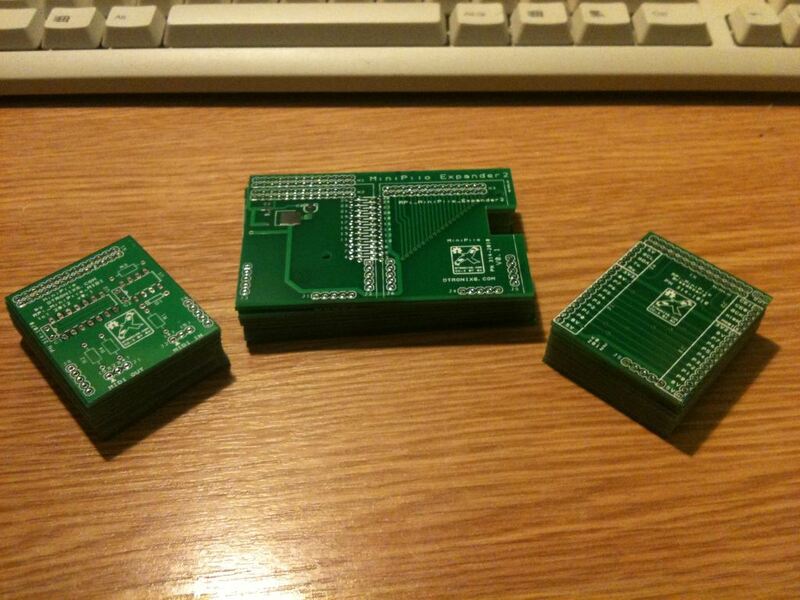 We received our second batch of PCB’s from our manufacturer today. 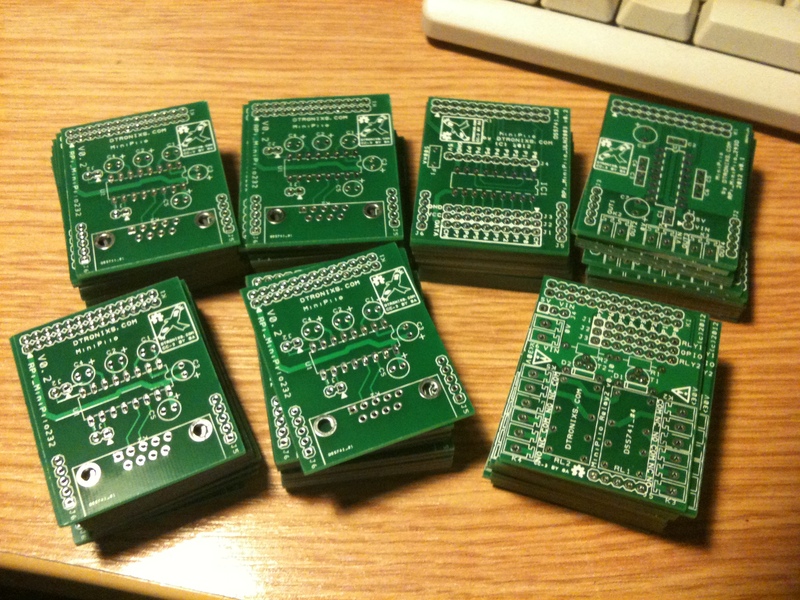 In the package were 4 sets of blank PCB’s for the MiniPiio boards: MiniPiio_RS232 (v0.2) , MiniPiio_ULN2803 (v0.2) and two new board MiniPiio_Relay2 and MiniPiio_293D. 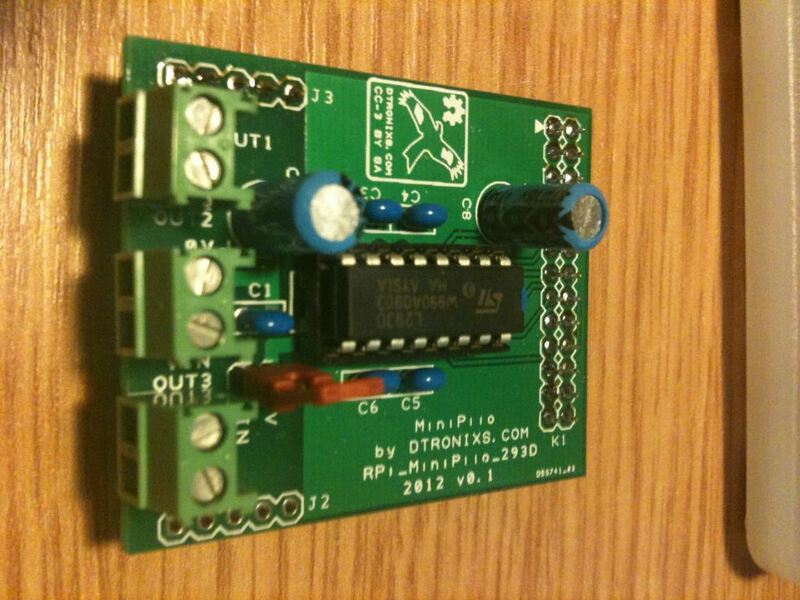 MiniPiio_Relay2 is a two relay board with dual change over relays and MiniPiio_293D is a Full-H Bridge motor controller based on the venerable 293D chip. More details to follow. 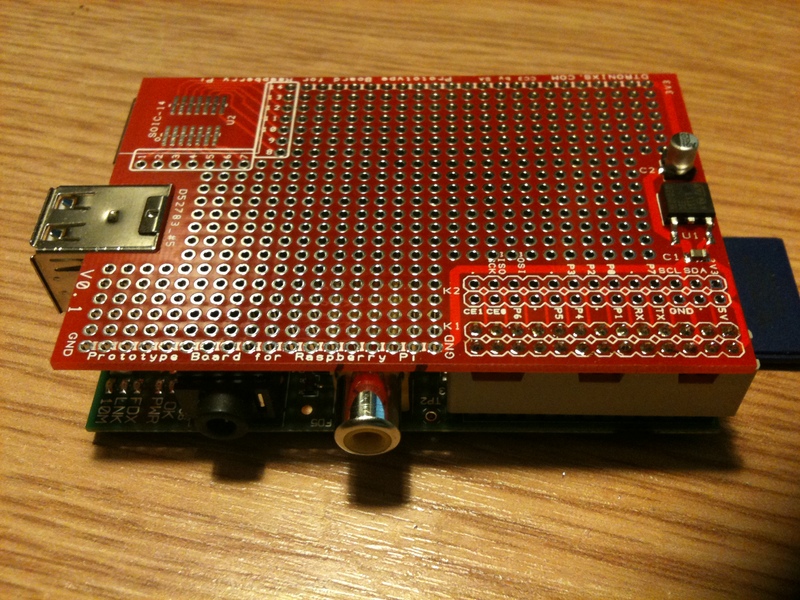 I’m really pleased with the design of this MiniPiio board. 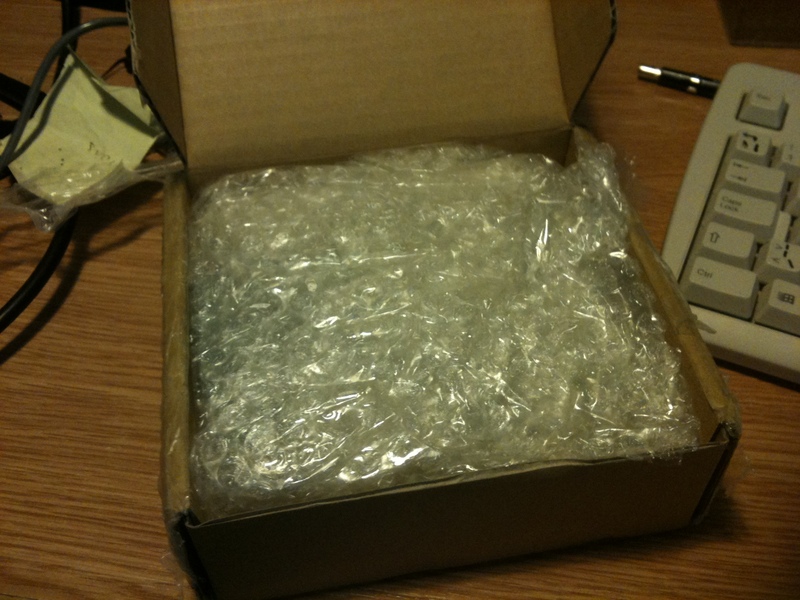 It fits it’s purpose perfectly. 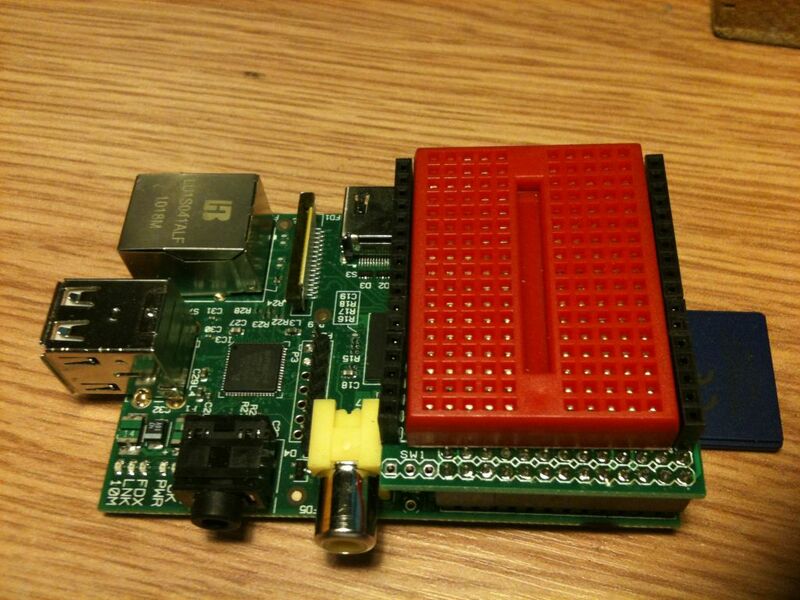 A small 170-pin breadboard you can plug directly onto your Raspberry Pi and have access to the GPIO pins from the RPi’s Expansion Header. You can’t see it but it has the option of a 3.3V voltage regulator to give you more current for the 3.3V for use in your circuit design. You are currently browsing the archives for the DesignSpark category.